There is a lot of work out there about grammar in English, but in Spanish it is very limited. One of the reasons why when I started in the teaching field, most of the time I found myself translating what my English Teacher partners had in English or making it up myself to help my bilingual students be on the same level as the English students. So they would have quality work to help them meet their grade level standards. Our schools have a lot of books in Spanish, mainly the one the district has adopted to be used in their classrooms, but those books are not enough. Our principals then buy other workbooks that promise to help us in areas that are super important, such as Poetry in Spanish, which is very limited. In some instances, we do have the consumables but we cannot use them because the district will not buy new ones the next year, so we have to preserve the ones we were given this year. Another problem is that we are limited when it comes to copying material that we believe will benefit our students because it is very expensive. So how do we manage teaching with all these barriers? That is something I have wondered from day one, how do we do it? Just a little introduction to what teachers go through every year of their lives. 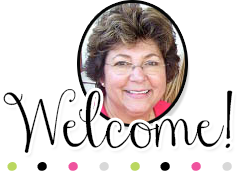 Teachers pay Teachers is a great source of information and options for monolingual and bilingual teachers. We have great author teachers from all grade levels with amazing ideas that you can put to practice in no time. All you do is buy what you want, download it and start teaching. If you want to have great work that you can use with your students, that can easily show them what you are teaching making it easier for them to learn and for you to teach. 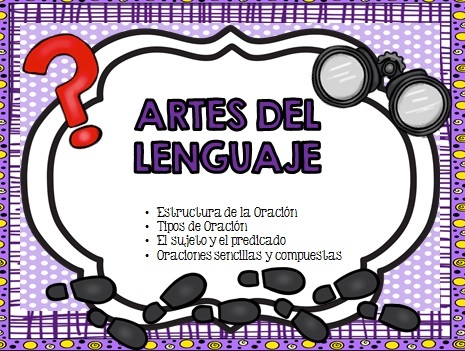 “Artes del Lenguaje” (Language Arts in Spanish focusing on sentences) was a request from one of my clients. She was annoyed by the amount of work she had to do, was not computer savvy and did not have the time to look for this particular document. So she asked me if I had something similar and with her ideas and my prior knowledge background, we came up with this power point that she can show her students and print posters for them to refresh their memory when needed.